Project manager and designer for a Chinese character animation project. Over 400 Chinese characters, spanning 15 lessons, have been created for the beginning Chinese Language student to use. 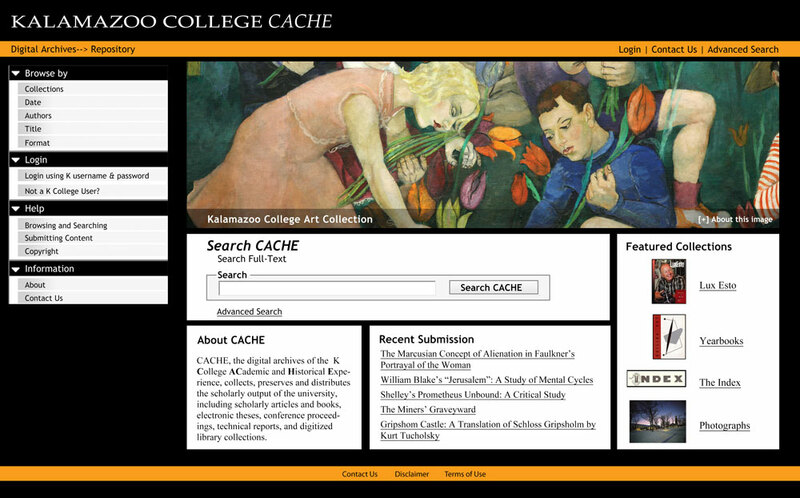 Mockup for the redesign for home page of CACHE, the digital archives of Kalamazoo College. CACHE uses the open source software DSpace, a turnkey institutional repository application.